If you thought your fellow commuters were wielding lightsabers, you weren’t hallucinating. Handrails on trains in Japan sported lightsaber decals to promote the release of the Blu-ray Star Wars: The Complete Saga. 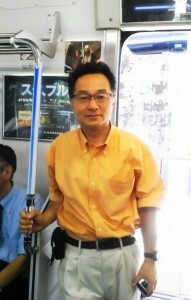 Lucasfilm associate Ken Ogawa sent several photos to the official Star Wars Blog. Read the full article and see more pics here.